Our Signature Almond Chicken Salad on Wheat Bread with Cucumbers, Tomatoes, Provolone Cheese, thinly cut Red Onions, Alfalfa Sprouts, crisp Green Leaf Lettuce, Mayonnaise, and Raspberry Vinaigrette. Sourdough Bread, piled high with Avocado, Cucumbers, Red Onions, Tomatoes, Peperoncini, Green Leaf Lettuce, Alfalfa Sprouts, Pickles, Spicy Mustard, and a drizzle of French Onion Dressing. 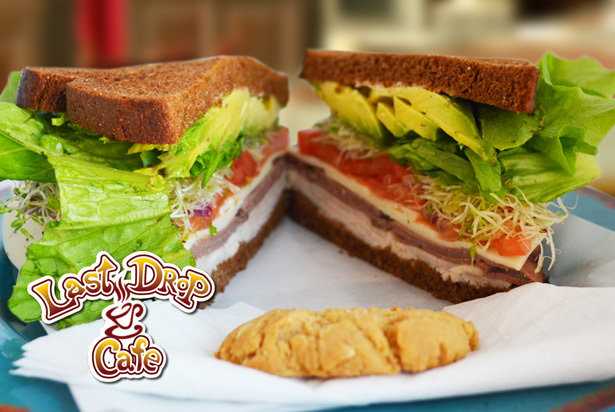 Our Roast Beef and Turkey on Squaw Bread with Provolone Cheese, Tomatoes, thin Red Onions, Alfalfa Sprouts, Leaf Lettuce, Avocado and Mayonnaise. Wheat Bread with Piled Oven Roasted Turkey, Cheddar Cheese, Tomatoes, Pickles, crisp Green Leaf Lettuce with Mustard, and Mayonnaise. 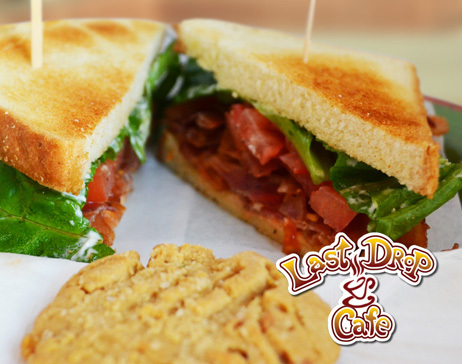 Toasted White Bread Layered with Bacon, Tomatoes, crisp Green Leaf Lettuce and Mayonnaise. Foot Long Roll, Dry Salami, Mozzarella, Tomatoes, Spring Mix, Peperoncini, Spicy Mustard, and Balsamic Vinaigrette. The Perfect Egg Salad with a touch of dill piled on Sourdough Bread with Tomatoes and Lettuce. 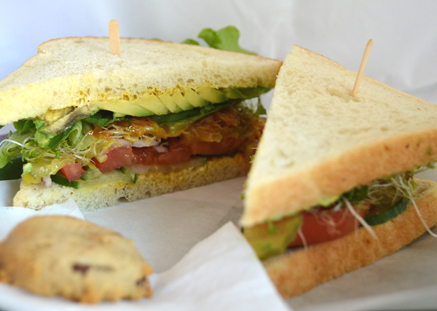 Discover our Tuna Salad on Rye Bread with Cheddar Cheese, Tomatoes, Pickles , Lettuce and Mustard. Toasted Sourdough Garlic Bread with Melted Cheddar and American Cheeses. Classic Smucker's Strawberry Jam with Crunchy Peanut Butter on Wheat Bread. Fresh Apples, Almond Slices, Bacon Bits and Feta Cheese, Cucumbers, on a bed of Mixed Greens with Honey Mustard Dressing. Made fresh to order our Almond Chicken Salad, with Alfalfa Sprouts, Red Onions, Peperoncini, Cucumbers, Tomatoes, Craisins, Almond Slices. Topped with our Raspberry Vinaigrette. Green Leaf Lettuce & Spring mix, Tomato, Cucumbers, Red Onions , Croûtons and your Choose of Dressing. Includes 100% All Beef Hot Dog, Canned soda and a bag of Chips with your choice of condiments; Relish,Tomatoes, Onions, Mustard, Mayonnaise, Ketchup, Cucumbers.